Twin Falls Glass has been in the Magic Valley since the 1920's. As times have changed we have striven to keep up with current trends in window design as well as cutting edge technology and efficiency. We offer a wide variety of window brands including, Milgard, Marvin, Marvin Integrity, Jones Paint & Glass, Coeur d'Alene Windows and Alpine. As a residential entry door specialist, we offer patio doors, French doors and custom wrought iron entry doors. Brands include: Therma Tru, Milgard, and Marvin. We feature door, cabinet and bathroom hardware by Emtek and Deltana. 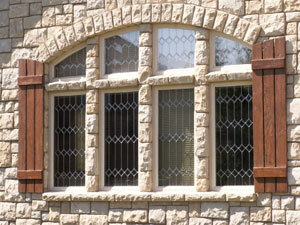 We have the knowledge and expertise to retro fit your existing windows to more energy efficient and updated ones. With a large assortment of models available we have the resources to deal with almost any situation and give your older home that fresh new look!